Opportunities Pick of the Week: London Writers’ Week 2018! This week’s pick: London Writers’ Week 2018! 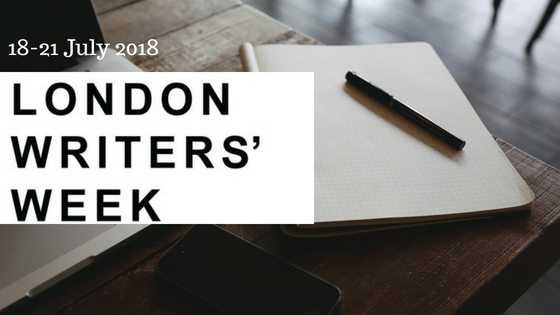 Description: London Writers’ Week is back for 2018 and for the third year running, London Playwrights’ Blog is a partner – meaning we’ll be bringing you some exciting events! London Writers’ Week is the annual week providing access to and showcasing the best new ideas going on in new writing in the UK. What’s so great about it? The new writing equivalent to London Fashion Week, London Writers’ Week is the week for writers. This years’ theme is ‘film’ so if you’re a playwright who wants to find out more about writing for the big screen, you won’t want to miss the brilliant line-up. The week will include sessions on playwriting and film, digital media and film, television and film, and other practical areas such as how to get and keep an agent. Not only this, but as partners of London Writers’ Week, we’ll be bringing you some events of our own including workshops with screenwriter, Freddie Machin and LPB’s Kimberley Andrews. We’ll also be hosting a social meetup for writers and we’d love to see as many of you there as possible! The week takes place on 16 -21 July 2018 and you can check out the full programme of events here.